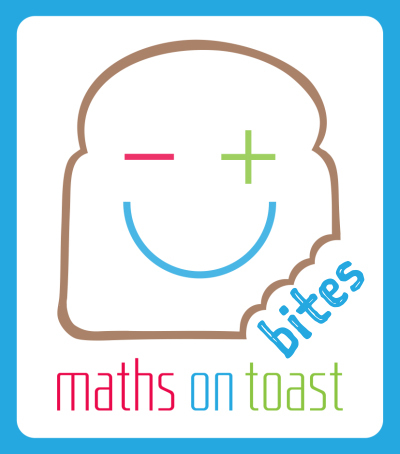 Maths on Toast Bites is a series of ‘How To’ videos, presented by children aged 8 – 11. This group of enthusiastic ‘maths advocates’ demonstrates family maths activities to the audience – children their own age. They make a few mistakes along the way but that’s ok. In fact it’s more than ok, it’s great. Because mistakes are a very important part of the learning process. Maths on Toast Bites will broaden children and their families’ view of what and where maths is, and support the concept that maths can be creative, family fun. Here at Maths on Toast, our mission is to promote positive attitudes to maths. We know that maths anxiety and other negative beliefs can reduce a child’s motivation and achievement in maths. We believe creating positive experiences of doing maths as a family can counter that anxiety, and support motivation. An instruction sheet for the activities demonstrated in each film will be available to download, so that families can try them together at home. Trying them, enjoying them, and being aware that this is maths, will increase the whole family’s confidence, and allow them to develop shared learning experiences, and create positive memories of maths. Maths on Toast Bites was developed in partnership with The Winch children’s charity and youth centre, and funded by the Royal Commission for the Exhibition of 1851.